Inheritance tax has featured heavily in the UK press recently as David Cameron has said that he will look to “shoehorn” a proposal into the next budget, which will raise the amount that can be passed onto beneficiaries before inheritance tax is due. This move will be of benefit to a good number of expats in Malta, although many of them won’t realise it yet! As Malta does not levy inheritance tax, one of the most common misconceptions is that expats who are tax resident here do not have an inheritance tax liability. Even up here, overseas tax authorities can still see you. While it is true that Malta does not have an inheritance tax, your country of domicile may, however, still levy taxes. For example, if you are a UK national living in Malta and are tax resident here, there is a very strong possibility that you will still be considered to be UK domiciled. The rule is that if you are UK domiciled, regardless of where you live, you are still liable to UK inheritance tax on all worldwide assets. Domicile is different to both nationality and residence and can be complex. Domicile at birth is usually determined by your father’s permanent residence at that time. It is possible for someone’s domicile to change if they have minimal links to their country of domicile at birth and no plans to return but assessment of domicile is rigorous, making it almost impossible to manipulate for tax purposes. What may seem obvious ways of limiting your beneficiaries’ inheritance tax liability, such as putting a property in your children’s names, may prove to be counterproductive; in some cases even increasing the amount due on death. Even worse, if your property is listed as one of your children’s assets and they divorce or file for bankruptcy you could lose your home. If you are a UK national with total worldwide assets including property worth over £650,000 you must review your situation with the help of a professional, or risk a 40% tax liability for your beneficiaries. 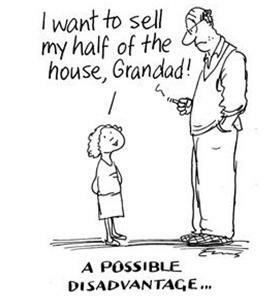 Inheritance tax is often dubbed the only ‘voluntary tax’ because there are legitimate, prudent ways to remove or reduce your inheritance tax liability that require only good planning, and at Hollingsworth, we can help you with this. With the changes expected for April there is now a real window of opportunity to make sure that you are able to pass on your hard-earned wealth to your loved ones rather than the tax man. For an expert review of your circumstances, please contact Michael Lavin, Dip. PFS, below. 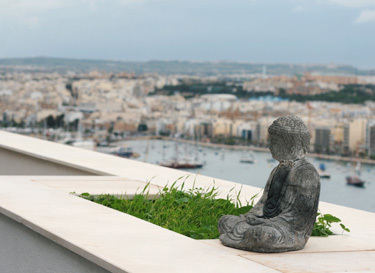 See also our guide: ‘7 Most Important Financial Answers for Expats in Malta’. Michael Lavin, Hollingsworth International Financial Services Ltd.
Hollingsworth International Financial Services Ltd is licensed by the Malta Financial Services Authority to provide investment services under the Investment Services Act, 1994. Enrolled Insurance Broker under article 13 of the Insurance Intermediaries Act, (Cap. 487). Registration Number C32457. Photos: courtesy of Amanda Holmes.